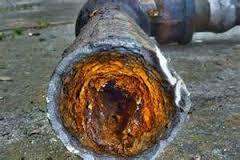 It seems more frequently our customers seem to be experiencing pipe failures and backups with their sewer system. This may be due from our last couple of brutal winters. When pipes freeze and thaw during the spring and summer it starts to break down the joints of the pipe. When the joints start to break down that is usually where you can expect sewer failures. Nothing is worse than having to deal with a sewer that does not work. When our customers call in you can hear the frustration and stress in their voice. We totally understand and we are here to help. The Trenchless Team we bring our years of experience and reassure you the customer that we can get you through your sewer situation. Trenchless sewer replacement is a great new way to alleviate having to dig up your property or yard. As a matter of fact we have had many customers tell us they did not want to repair their sewer line problem due to the extensive excavation. The great benefits of no dig repairs is that the work is done underground, inside the pipe so no costly digging is required. It is our most popular method. Many times customers call us and they did not know that trenchless repair is an option, they have never heard of it. Once they do learn about it from one of our friendly techs, it’s a no brainer and all of our clients want it done. When we survey our client’s we learned that the “lifetime warranty” was the deciding factor when it comes to this type of repair. Having a peace of mind is the overriding factor, let’s face it if you have to deal with or fix your sewer you only want to do it one time so why not do it right the first time. If you are looking for sewer line replacement and you live in the great Philadelphia area give us a call today and recieve a FREE ESTIMATE and FREE CONSULTATION, call today 844 739 3784. Let The Trenchless Team help you with Sewer Line Replacement.